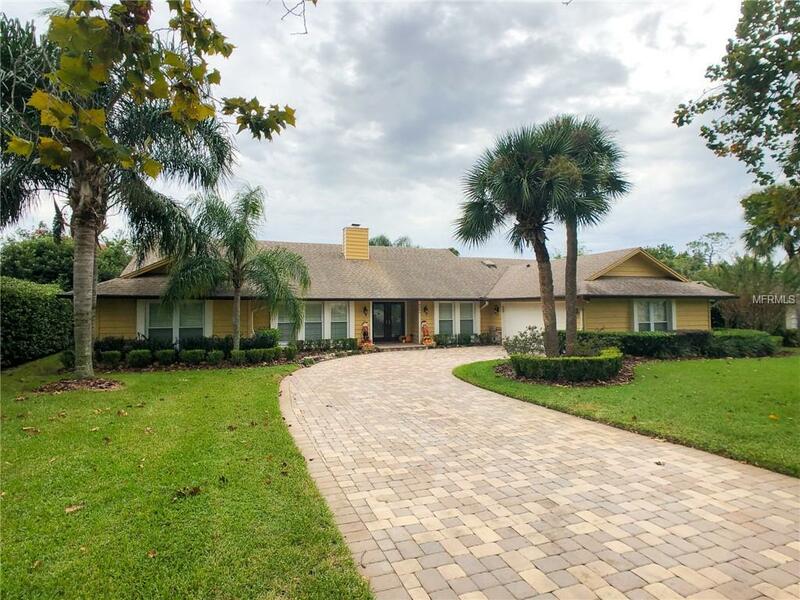 Beautiful remodeled ranch home in Bay Hill. Home is on a large private lot and is fully fenced for your family and pets. Outside there is an oversized lanai perfect for outside entertaining overlooking your own private screened swimming pool. Large kitchen, dining room combination with vaulted ceilings. Kitchen has newer stainless steel appliances and a large kitchen island for informal meals. Family room has vaulted ceilings and a large wood burning fireplace. The whole house has coving and wide base boards. Master bedroom has vaulted ceiling leading into an ensuite bathroom with separate shower and jetted tub. There is a large walk in closet with built in units.The three other bedrooms are on the other side of the home, two of which have built in closet systems. Whole house has plantation shutters and is in excellent condition. Bay Hill is a world famous golfing community offering unrivaled location, near restaurant row, excellent schools and easy access to the I-4.